The ultimate water bottle holder! 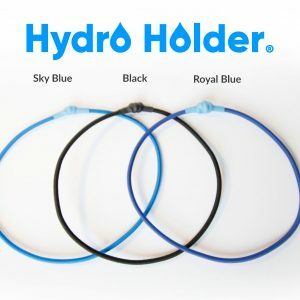 Perfect for Carrying Drinks, Food, Clothing, VHF Radios and much more. 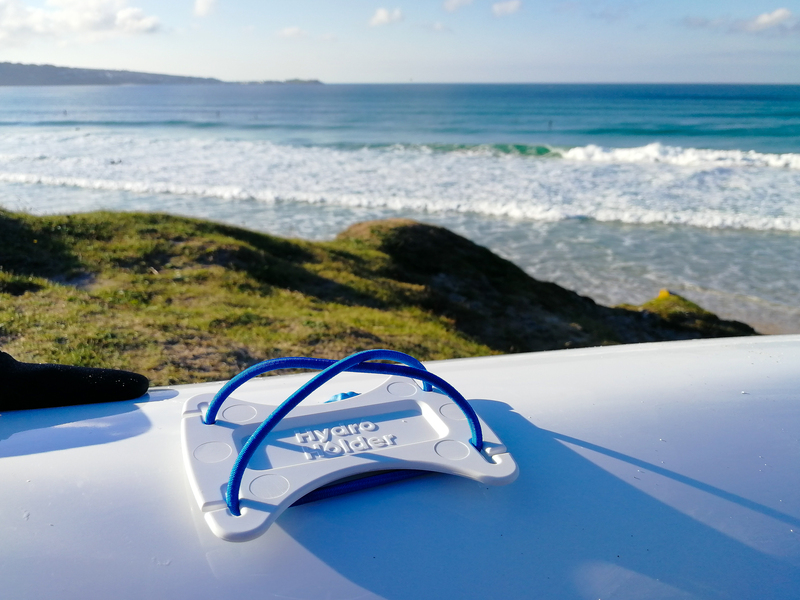 Tested in very Big Surf Waves, Underwater and in Gale Force Winds. 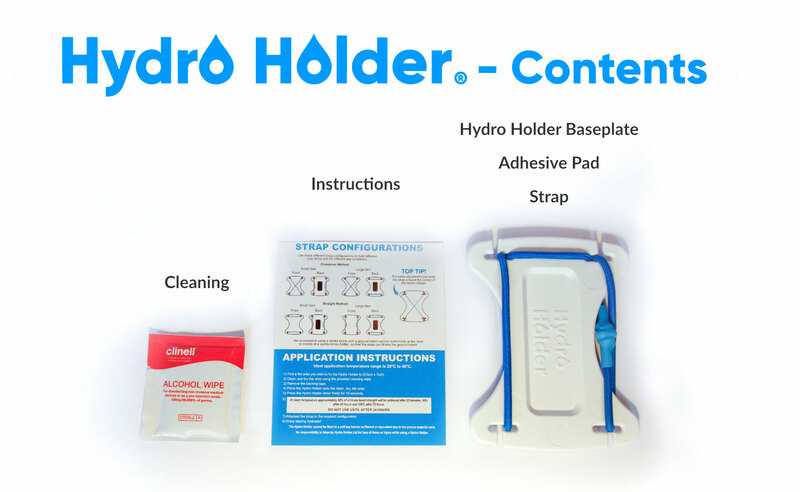 The Hydro Holder keeps your items where you want them. 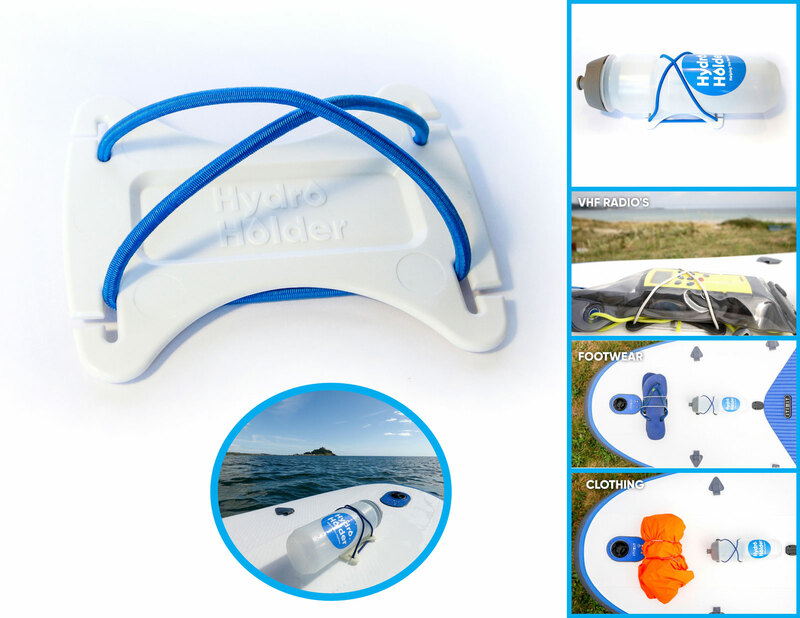 The Hydro Holder keeps your items secure even in the roughest sea conditions. 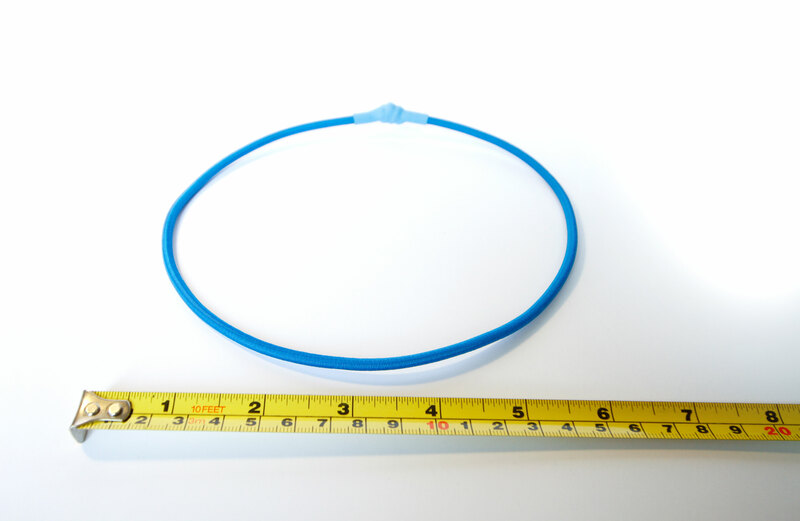 Using the UV resistant bungee strap with 100% elongation keeps your items safe and secure. 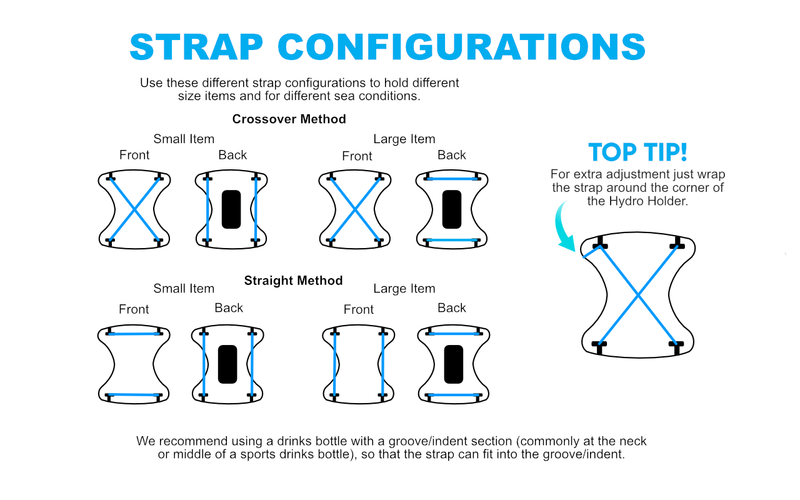 The strap can be used in a number of different configurations so you can hold different size items, and choose how tight or loose to hold them. 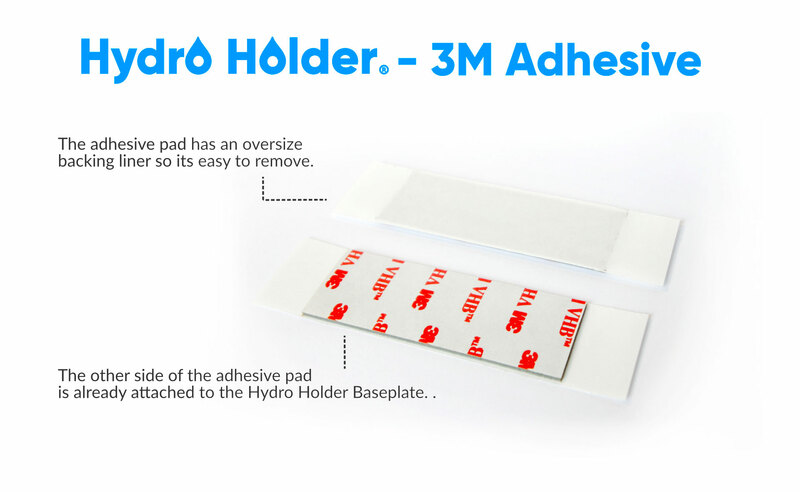 3M adhesive is used to hold the base plate down, the same adhesive used for GoPro Mounts. Made to replace weld, screws and rivets. 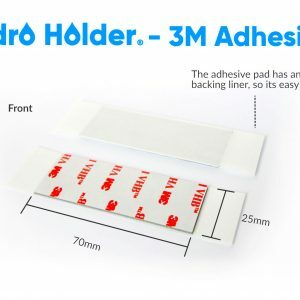 It’s a very strong adhesive and has been tested to hold 10kg. 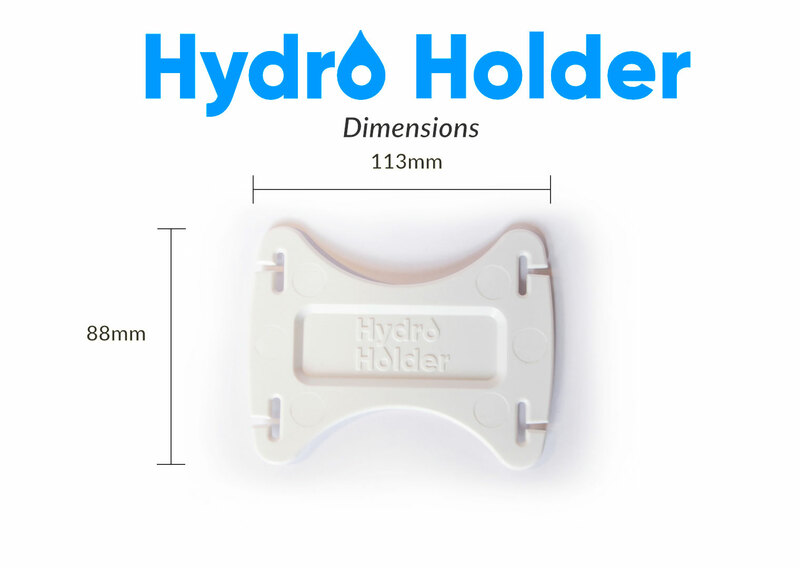 The Hydro Holder is designed to hold a load of 2kg. An average 750ml water bottle is 0.75kg. 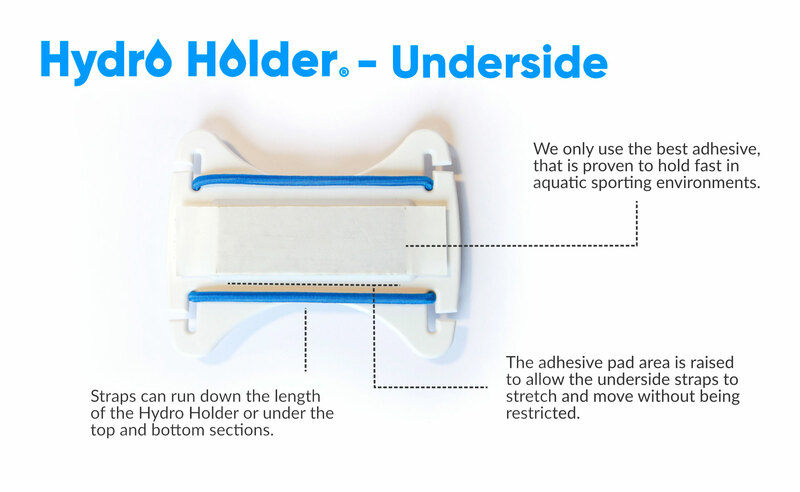 We have tested the base section and strap to hold 10kg. 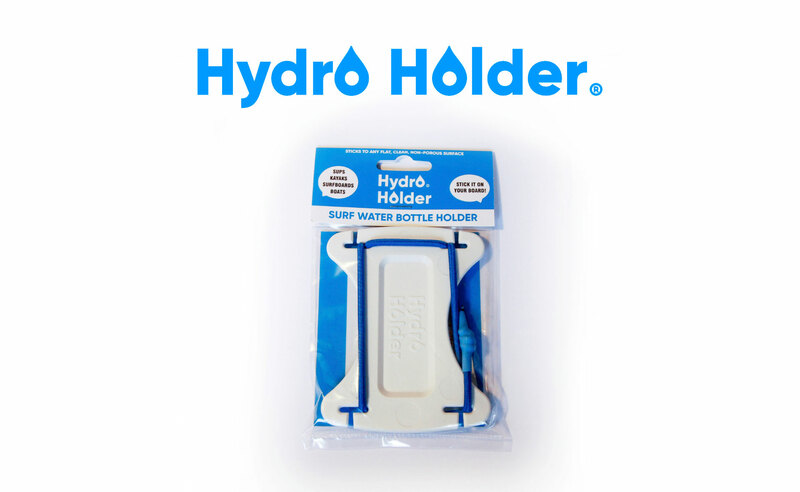 This is to stimulate the force of a wave hitting the drinks bottle attached to the Hydro Holder. The ultimate and best solution to standard SUP bungee nets and big bulky storage bags. 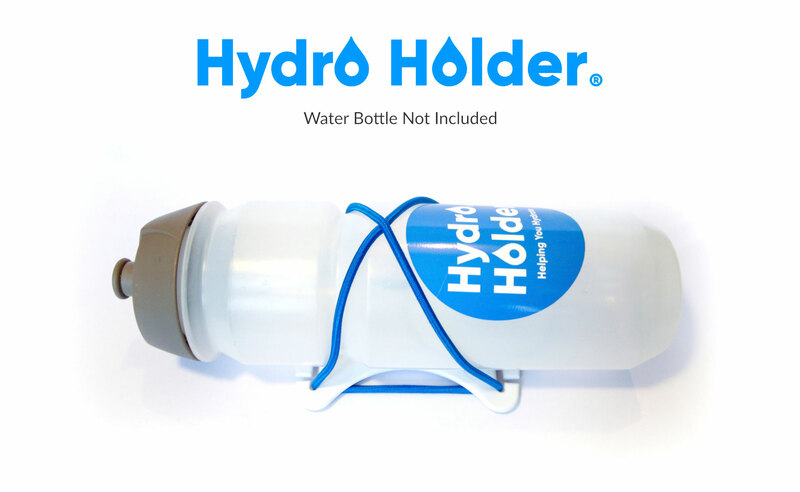 Never lose a water bottle again. 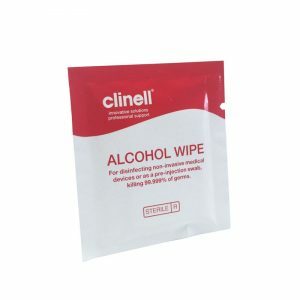 Design and Manufactured in United Kingdom.